Vancouver Golf Tour and British Columbia Golf welcome MAUI JIM CANADA as a Major Partner in developing BC Women’s Golf, launching the MAUI JIM WOMEN’S SERIES on the Vancouver Golf Tour (VGT) and taking Presenting Sponsorship Status at all BC Women’s Golf Championships in 2018. “We are extremely proud to have a leading worldwide brand in MAUI JIM sunglasses elevate their role in golf and help us launch these Women’s Golf Initiatives in BC this year” stated VGT Commissioner Fraser Mulholland. 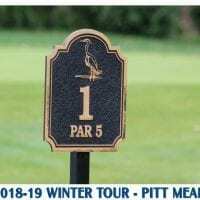 “With their sponsorship in golf MAUI JIM is empowering us to launch a first of its kind VGT Women’s Series for Amateurs and Professionals in our region. The MAUI JIM Women’s Series will launch at VGT’s first 36-Hole Major, the JM Media Group VGT Masters on April 26-27 with the final event on the series slated at the Johnston Meier Insurance Vancouver Open on Aug.30-Sept.2 at Vancouver’s City Courses. “We’ve been attempting to launch a Women’s Series for a few years on the VGT” states Mulholland. “We’ve had some amazing young female golfers come through the VGT the past 10 years. But there are so many more talented women playing golf in BC that have yet to play an event with us. With MAUI JIM’s support, I believe this will inspire women to come and play these events and help elevate their games for future competition whether it is provincial, national or international. “This is a perfect partnership for MAUI JIM Canada” stated Managing Director Jeff Speiran. “We are excited to play a role in the development of BC Women’s Golf. “Many of Canada’s top Male Professional Golfers have come through the VGT. And we hope that the launch of the Women’s Series will provide BC’s top Women Golfers the same opportunity to prepare themselves for golf excellence on any major stage”. “We believe that both pros and amateurs alike deserve to not only give their eyes the best protection from the sun’s UV rays but allow them to enjoy the true colors and beauty of the course they are playing. And why not gain just a bit of an edge when striking the ball or reading that 20-foot putt”? Maui Jim Canada’s support of Women’s Golf is going above and beyond the VGT in 2018. Through the partnership VGT has with British Columbia Golf, Maui Jim Canada has elevated their sponsorship to include a Presenting Sponsorship Role in all 7 of British Columbia Golf’s Women’s Championships. 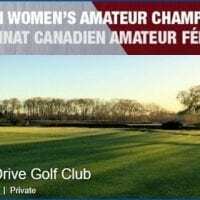 The BC Golf Women’s Championship events begin June 18th with the Women’s Senior, Super-Senior and Net-Stableford Championship and conclude with the Juvenile Girls Championship August 23rd. “British Columbia Golf is excited to be partnering with Maui Jim and the Vancouver Golf Tour in launching the MAUI JIM Women’s Series. We have long recognized competitive opportunities for women are lacking and the Women’s Series is a good start to correcting this imbalance. We promote golf as an ideal activity for a healthy active lifestyle. Protection of eyes from the sun’s UV rays is a must and Maui Jim Canada is an ideal sponsor to help us spread that message to golfers.” – Kris Jonasson/CEO British Columbia Golf. Along with some premium Maui Jim prizes & gift cards being offered at each of the VGT Women’s Series events, the top golfers will have the chance to be part of a series-ending bonus prize structure. To experience PolarizedPlus2® technology first hand, please click here for a clear demonstration of the benefits. For those with prescription needs, Maui Jim has created MauiPassport prescription sunglasses to change the way you see the world around you. Digitally processed at their state-of-the-art US lab, MauiPassport lenses provide incredible visual acuity across the entire lens. Combined with the remarkable clarity and color enhancement of Maui Jim’s proprietary PolarizedPlus2® technology, you will see the world like never before. Maui Jim sunglasses were born on the beaches of Maui and designed to protect eyes from the harsh rays of the sun. Today, Maui Jim’s patented PolarizedPlus2® lens technology cuts 100% of UV rays and eliminates glare while enhancing color, definition and depth perception in more than 115 different styles of sunglasses available worldwide. Maui Jim sunglasses have earned the Skin Cancer Foundation Seal of Recommendation as an effective UV filter for the eyes and surrounding skin. For more information, visit MauiJim.com or follow on Facebook, Twitter or Instagram at @OfficialMauiJim. 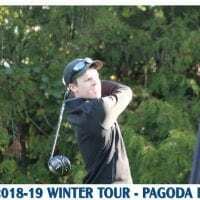 The Vancouver Golf Tour (VGT) was developed in 2006 for BC’s local Professionals and Amateurs (Handicap of 0-18) – giving them the opportunity for a high level of competition in a PGA Tour environment without the heavy expenses of travel. VGT’s goal has always been to provide local players the opportunity to learn how to win while at the same time building their confidence to play on Worldwide Major Tours. For more info, visit www.vancouvergolftour.com. 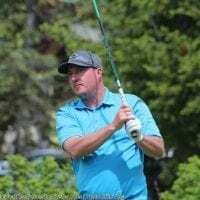 British Columbia Golf – a member-based organization governed by the British Columbia Golf Association (BCGA) – is the governing body of amateur golf in British Columbia and functions for the benefit of all golfers in the province. 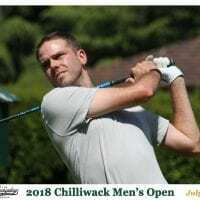 British Columbia Golf fosters and promotes the sport of golf, preserves the traditions and history of the game and provides a leadership role for the sport in British Columbia. Through its affiliation with Golf Canada, British Columbia Golf is also involved in National golf affairs. British Columbia Golf is recognized by the Government of BC as the official golf association in BC. It provides programs and services that benefit all golfers and the golf industry in the province. We invite you to learn more about British Columbia Golf by clicking here.